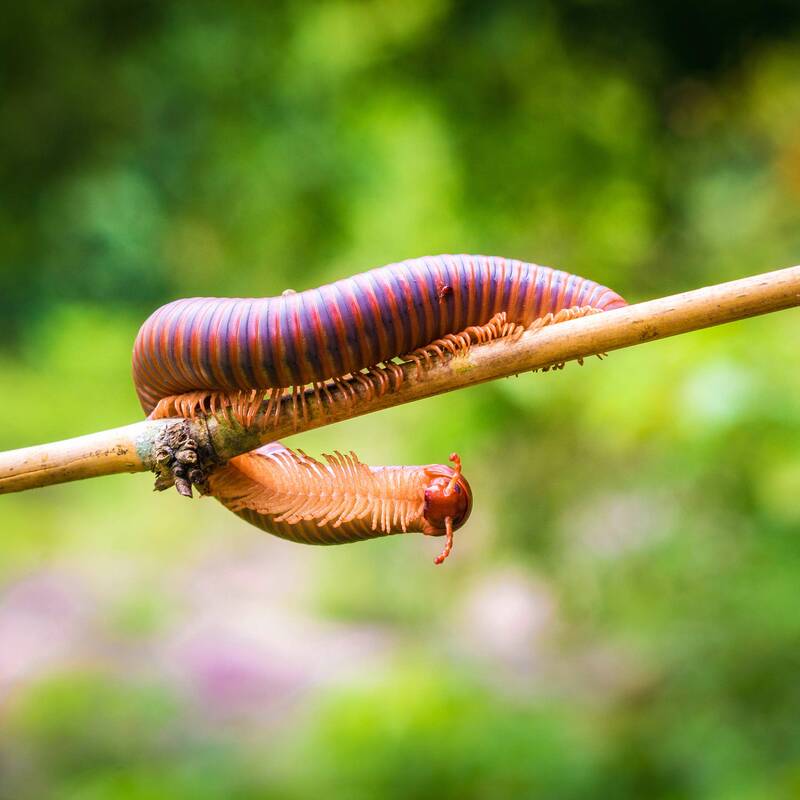 Unlike centipedes that kill prey by injecting them with venom, millipedes are slow-moving scavengers that feed on dead animals and plant matter, including the roots and leaves of young plants. Millipedes live in moist, warm, protected areas like rotting logs or under leaves, bark and grass clippings. 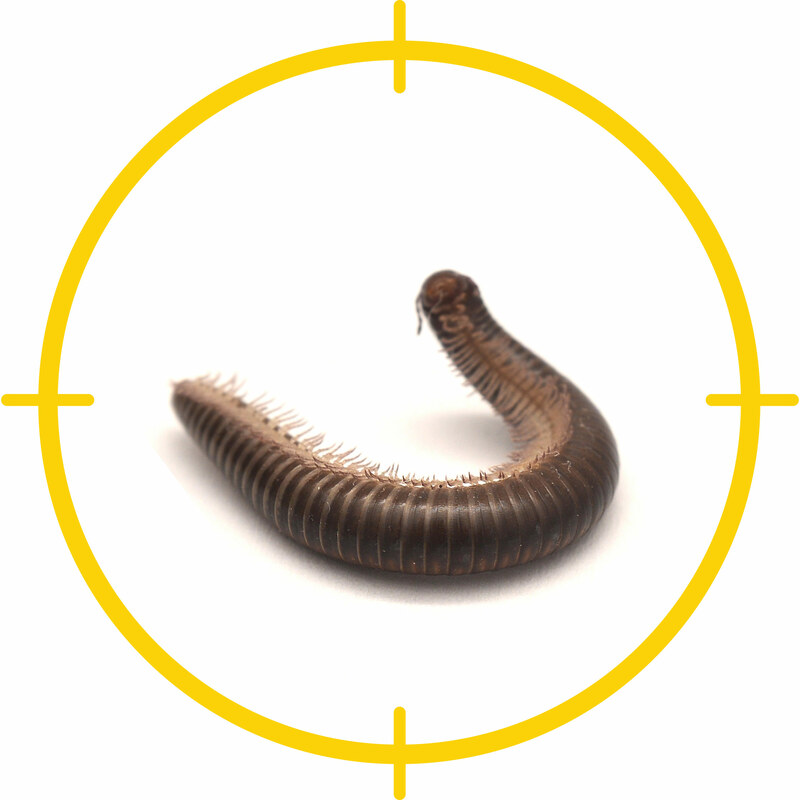 Although millipedes are generally harmless to humans, they can become huge pests around the house and garden. 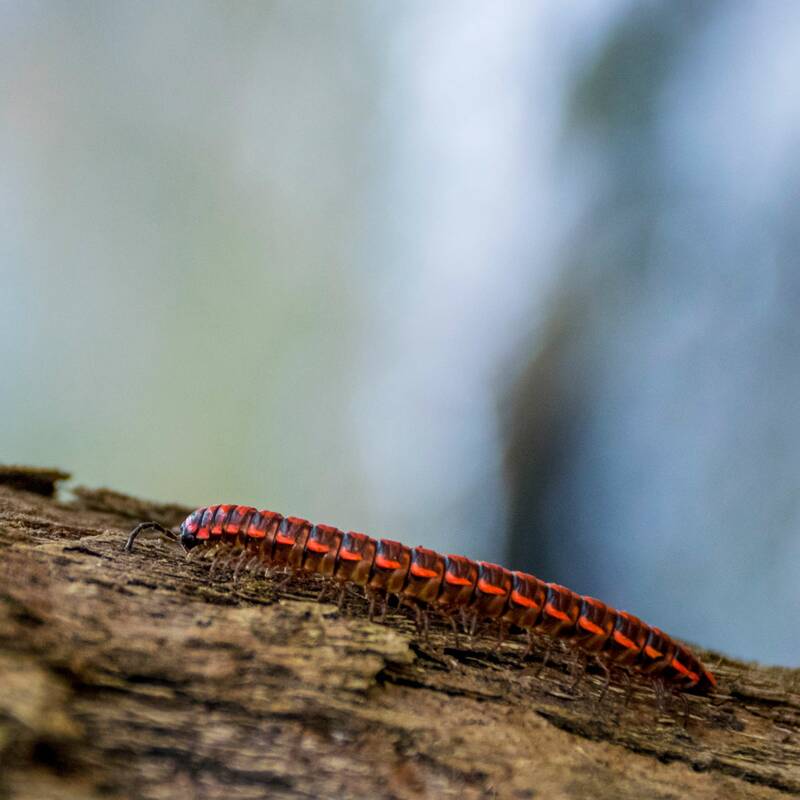 If millipedes find their way into your house, you’ll likely find them in damp cellars and basements and around windows and sliding glass doors, especially in spring or fall. They are most active at night. Apply a 10- to 15-foot (3-4.5 m.) strip of liquid or granular insecticide around the perimeter of your house. Don’t forget to treat door sills, window frames and other access points. Use an insecticide labeled for indoor use cellars, basements and other damp hiding places. Apply a residual insecticide spray in cracks and crevices and along baseboards. Use an aerosol contact insecticide directly on pests found inside your home. Be sure the product is labeled for indoor use. You may need to discard badly infested houseplants. Otherwise, allow the potting soil to dry out as much as possible between waterings. You can also spray a houseplant insecticide under the pot and along the edges. Remove mulch and decaying vegetation around your house. Eliminate hiding places such as leaf piles and old boards. Keep compost bins at a safe distance. Empty trash regularly and keep garbage cans tightly sealed. Reduce moist areas around your house. Use a humidifier if conditions are damp. Water your lawn in the morning so the grass has time to dry before evening. Store firewood off the ground. Caulk around doors and windows. If millipedes are present in large numbers, pick them up with your vacuum cleaner.